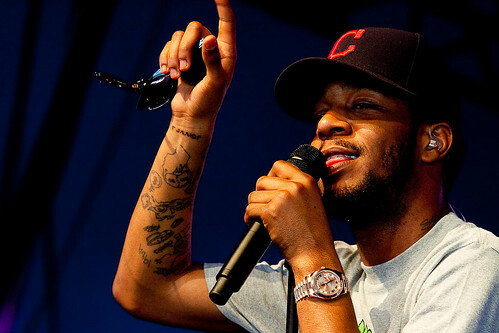 Cudder hits Twitter to release new material with his newly formed band Wizard, whose name got changed to 2 Be Continuum. As of now we’ll stick to Wizard since that’s how the track is tagged. Check out a sample of what’s to come from CuDi’s upcoming rock album on his new label, Wicked Awesome Records. After the jump catch new music from Big Sean and Young Chris…..
Rihanna heads to the island of Jamaica in her brand new video for “Man Down”, the fifth single off her platinum-selling LOUD LP. The pop-star uses the secluded location of Portland for the latest visual directed by Anthony Mandler. Catch behind the scenes footage after the jump…..
Bevacqua’s L-R-G co-founders posted a touching letter of mourning on their website, along with a photo of Jonas with his large multicultural family, and a photo of him with his fiancee and son. Jeff Staple of Staple Design wrote a short note on how LRG inspired and motivated him. 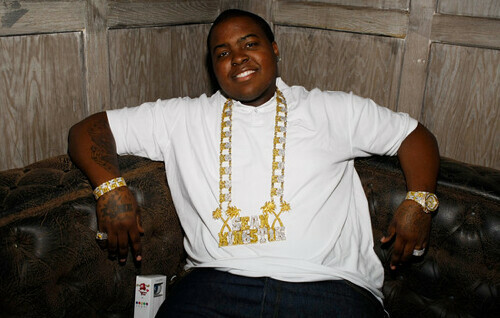 On Sunday, Sean Kingston suffered severe injuries when he and a female passenger crashed their jet ski into a column on the low-hanging Palm Island bridge in Miami. As reported earlier, he was taken to the trauma center at local hospital. Since then, his condition has stabilized and he has been moved to the Intensive Care Unit. His passenger, Cassandra Sanchez, was released from the hospital and described the accident in detail to TMZ. Also, Jonathan Rivera of the local Coast Guard spoke to reporters and said Shawn was bleeding profusely from his mouth in the water. Very scary. UPDATE: The details of Sean’s injury are now public. He suffered a broken jaw, broken wrist and water in the lungs. He is expected to make a full recovery. True Blood Season 4 Sneak Peek: Sookie, GrandDaddy and Glowing Peaches? Ack! Rihanna joins hot vampire and football stud in a movie based on…a boardgame?! Pusha has been goin’ hard with the viral videos in support of his first solo mixtape. Prepping another self commissioned flick, 1/2 of the Clipse took a trip to Sin City to bring the tape’s outro to life. With Nottz on the beat, Push used this funeral sounding backdrop to reflect on his reality (directed by Orson Whales). All it takes it one viral hit to hit paydirt. Just ask Oakland-native Kreayshawn. The indie female rapper’s song “Gucci Gucci” went from youtube hit to hipster sensation in just a few months, sparking a bidding war with multiple labels. Today, insiders tell Miss Info that Kreayshawn has signed with Sony for over a million dollars. Will she live up to the hype? And if the music cant sell enough to justify the upfront payoff, does she have the presence to make the 360 degrees of shows and merchandise worthwhile? UPDATE 6/7: yeah, like I said….she signed to Sony. Now it’s “official.” Lol. Following his “I’m On One” shoot in Miami, Drake headed to Las Vegas and joined Lil’ Wayne for the Rehab Pool Party at the Hard Rock Hotel & Casino yesterday. Before hitting the pool party, Drake did some press where he revealed at the 2:40 mark in the video above that 8Ball & MJG will appear on his sophomore album Take Care coming later this year. Below, you can catch some photos from Rehab taken by HewBurney, spotted at Rap-Up. Looks like no one got footage of their “I’m On One” performance yesterday. After the jump Drake explains his reasons for hitting Vegas this long weekend…..